I must confess that although I have 2 magazine racks full of stuff to do in the holidays, not to mention all the stuff on our summer holiday resources article to do, I still don’t feel ready for these school holidays. I could still do with one more week. I’m not the only one am I? Sports day, school report, school play, school disco, transition morning (mixed up classes–argh! ), a chat with the principal about a plan for my daughter in September… the week has just gone. Oh and a man in my garden putting up a new fence, because my husband clearly thought that I wouldn’t have enough noise in the next 6 weeks! It’s been a crazy week, but we’ve managed to try out five free (OK, one of them is Â£1) activities to try out in the summer hols. 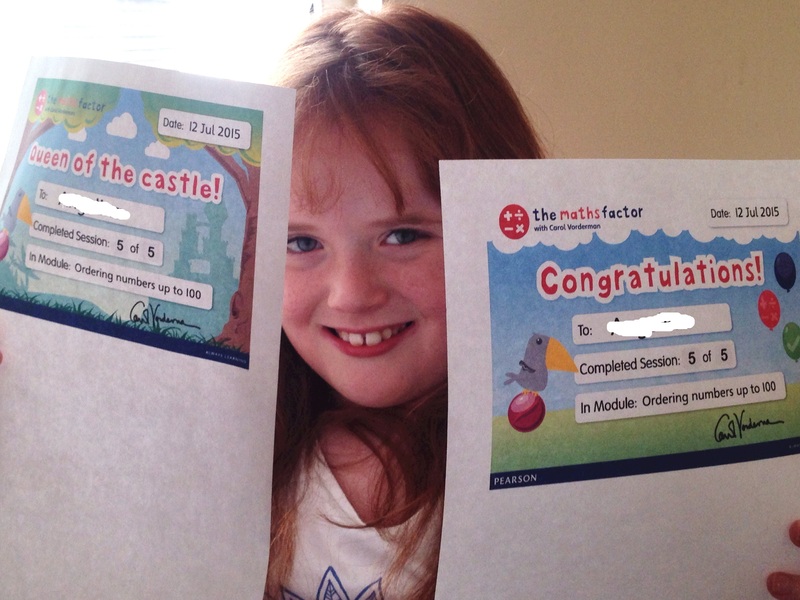 We tried out Carol Vorderman’s Maths Factor online programme on Sunday, and my daughter enjoyed it. She actually enjoyed maths! This in itself is strange. So I tweeted Carol to let her know and she only went and replied! I got a tweet from Vorders!!! If you want to give it a go then you can get your first month for £1 by clicking this link. I’d love to let Carol know how many dyspraxic and dyscalculiac kids are enjoying it. It’s a more gentle approach to maths, so it’s ideal for our dyspraxia kids, and it actually teaches them. It’s not one of those that’s just games and questions. I wrote a Maths Factor review if you want to find out more too. It’s certainly going to help keep little one busy and combat some of that summer learning loss. I’m actually hoping she might make some progress. 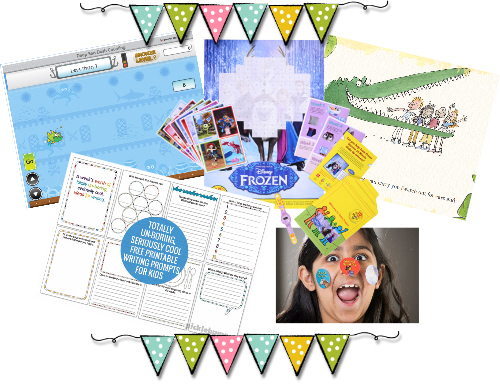 I mentioned using some ‘write your own story’ books in our top ten summer resources article, but I’m very well aware that the price of these things starts to add up, so I’ve found some really great free writing resources too. I love these free printables from Picklebums. She really recognises that some kids have great ideas and creativity but struggle with the physical act of writing. 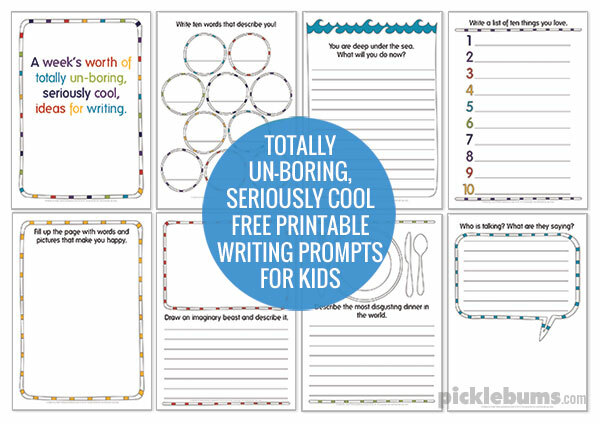 There are 7 different printables in this set, so you can have a writing week, or just get your dyspraxia kid to do one for each week of the holidays. I especially like the one ‘describe the most disgusting meal in the world’. That’s sure to get the pencils going! I usually find the Change4Life ideas a bit lacking, but I really like the idea of the Disney 10-minute shake-up challenge. I mean, usually, their ideas are things like “why not walk instead of taking the car”, “did you know that you can have fruit instead of chocolate?” I mean, really helpful! But with this one, there are 4 Disney teams that your child can pick from. You then get a pack of stuff to get them moving for at least 10 minutes a day–great for our little dyspraxics. There’s a timer you get with the pack too, and it’s all free. You need to get your free pack ordered soon though as there is limited availability. 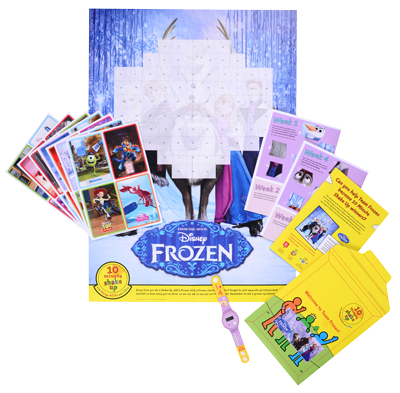 Of course we are team Frozen! 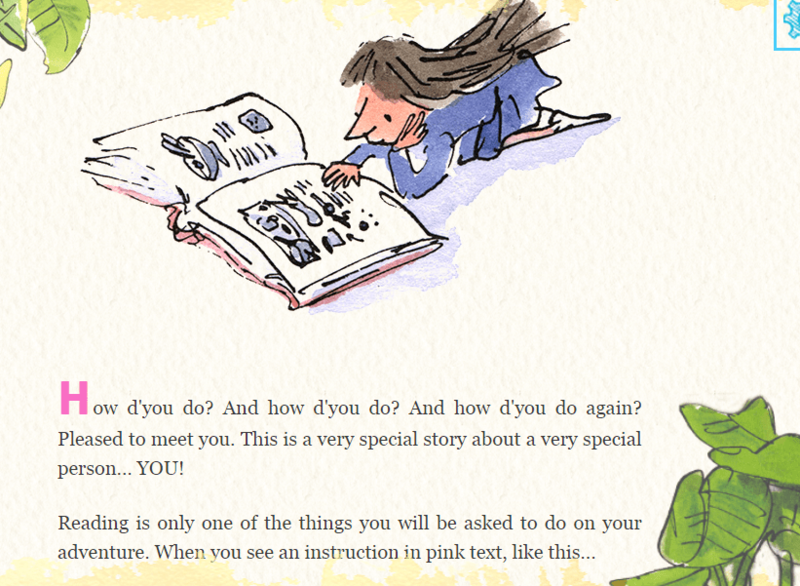 This is a free ‘create your own adventure’ using illustrations from Quentin Blake, who did all the pictures in Roald Dahl books. I would recommend using either an iPad or smartphone for this one, so your kids can take part in the whole experience, but you can do it on a computer too. For parts of the adventure your child will need to take pictures, so it’s easier doing it on a tablet or phone. Your child begins by typing their name and creating their character. They are the hero of the story! They also get to choose someone to join them on their adventure too: best friend, favourite toy, you. 🙂 And you meet familiar Roald Dahl characters on the journey too. Then they read along to the story, making decisions about what to do at certain points. There are also things to physically do along the way, such as go out into the garden and count backwards from 10 to 0, or spin around and make yourself dizzy etc. Get down to your local library and sign the kids up for the summer reading challenge. It’s all totally free and your child is in charge of what books they want to read–so it doesn’t matter what level reader they are, everyone can join in. This year’s theme is record breakers! 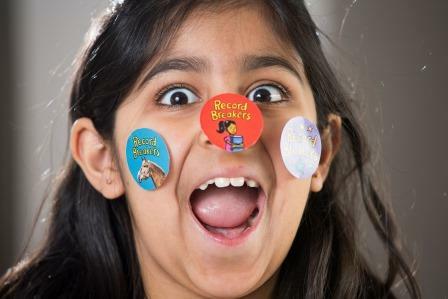 Every time your child finishes a book they get stickers and rewards. And at the end there’s a certificate for everyone who finishes. It’s usually something like 6 books they need to read, throughout the whole of the summer. Each library usually has extra activities, workshops and incentives going on too. Last year our library had a prize-giving and the winner got to run the library for the day. So, although I feel unprepared for the onslaught of the summer holidays, at least I know we’ve got some nice free activities to do–given the price of new school shoes this can only be a good thing!